Get around Cleveland the better way! No doubt you have noticed the bright red bikes in and around downtown – now it’s your turn to give them a try! The UHBikes bikeshare is a fun, affordable, and simple way to get to your destination without worrying about parking, traffic queues, and so many other hassles of the city. Plus, you get to see Cleveland’s people, architecture, and stunning city views up close and at a slower speed, which is far more immersive than being caged up in a car. People can access the system by signing up at UHBikes.com or by downloading the Social Bicycles smartphone app for iOS or Android and selecting Cleveland as their home system. Pay-As-You-Go, Prepaid, and Monthly Membership options are available, with plans starting for as little as $3.50. There are convenient stations all over town, near common points of interest and key destinations. But the bikes can be placed on ‘hold’ during your trip and locked to any bike rack, so they are ready and waiting upon your return. The UHBikes app and site allow you to see the system status all the time, including the station locations and more. Try it once and you will be hooked, and you’ll never want to use your car downtown again! In 2013, in partnership with University Circle Inc. and the Green City Blue Lake Institute, we formed a Bike Share Task Force and worked with the City of Cleveland’s Sustainability Office to conduct a formal feasibility study to explore how bike sharing could work in Cleveland. The study was funded by the City and RTA. Unsurprisingly, we learned that Cleveland is an excellent location for bike share, and the study recommended a 700 bike, 70 station system with a “duel-hub” configuration encompassing downtown and University Circle in phase 1, with expansion into the surrounding neighborhoods in phase 2. Great, bike share would work, but we still needed the money to implement it. Fast forward to 2015 and the Northeast Areawide Coordinating Agency (NOACA) received $1.4 million of unallocated federal funds it could disburse for various projects. A great opportunity to fund bike share we thought! The only problem was that only governmental agencies were eligible to apply. We found a fantastic partner in the Cuyahoga County Department of Sustainability, who were all too happy to work with us on submitting an application. We were awarded $357,000 from NOACA and got to work raising the required 20% local match and releasing a request for proposal for bike share vendors. We managed to piece together the $89,000 local match, and received four responses from interested bike share vendors; ultimately picking Cyclehop-Social Bikes. Read the press releases below for further details. Full system to come online in September with official launch of 250 red bikes. CLEVELAND, OH – Cleveland and Cuyahoga County’s formal bike share system, sponsored by University Hospitals, pre-launches this week as CycleHop-SoBi brings 100 temporary green-colored bikes to the streets in time for the RNC. 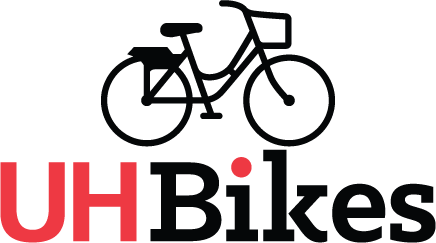 The pre-launch station locations will be in the downtown area, while the full system of 250 red-colored bikes, branded with UH logo, will be available across the city in September. September’s official launch will include 30 stations encompassing Downtown, University Circle, Central, Ohio City, Tremont, and the Campus District. The pre-launch supports the Republican National Convention and showcases one of the many improvements Cleveland and Cuyahoga County are making to support sustainable transportation and communities. “We want to capitalize on the exposure that comes with the Republican National Convention,” said Jacob VanSickle, Executive Director of Bike Cleveland. “A Bike Share system is a clear signal of a city on the move, and we want to display Cleveland’s progress on a national stage.” VanSickle concluded. “We’re extremely excited about the full system launch in September, but we felt it important to have such a visible infrastructure improvement available for use during the convention,” said Mike Foley, Cuyahoga County’s Director of Sustainability. Bikes will be available at ten stations throughout downtown as part of the pre-launch, giving locals and visitors a taste of what the fully realized system will be like. Aside from the temporary bikes being green, the equipment and user experience will be identical to what will be available in September. By number of cities served, CycleHop is the second largest bike share Operations Company in North America. CycleHop is a complete bike share solutions provider, including planning, funding, equipment selection, implementation, operations, marketing, sponsorship sales, and regional expansion. Their equipment provider, Social Bicycles is an industry leader in bike share products, including their GPS enabled smart bike. The County Sustainability Office was created in late 2014 and is charged with, promoting economic development to support businesses that provide environmentally sustainable products and services; educating the public about environmentally sustainable practices; and collaborating with businesses, non-profit organizations, and government agencies to develop programs incorporating environmentally sustainable methods into accepted practice. Bike Cleveland is a 501(c)(3) non-profit, and the leading advocacy organization for bicycles and pedestrians in the Greater Cleveland area. With the goal of making Greater Cleveland a better place to live and ride, Bike Cleveland works to build livable communities by promoting all forms of cycling, and advocating for the rights and equality of the cycling community. Visit www.BikeCleveland.org for more information. Founded in May 1866, University Hospitals serves the needs of patients through an integrated network of 18 hospitals, more than 40 outpatient health centers and primary care physician offices in 15 counties throughout Northeast Ohio. At the core of our $4 billion health system is University Hospitals Case Medical Center, ranked among America’s best hospitals by U.S. News & World Report. The primary affiliate of Case Western Reserve University School of Medicine, UH Case Medical Center is home to some of the most prestigious clinical and research programs in the nation, including cancer, pediatrics, women’s health, orthopedics, radiology, neuroscience, cardiology and cardiovascular surgery, digestive health, transplantation and genetics. Its main campus includes UH Rainbow Babies & Children’s Hospital, ranked among the top children’s hospitals in the nation; UH MacDonald Women’s Hospital, Ohio’s only hospital for women; and UH Seidman Cancer Center, part of the NCI-designated Case Comprehensive Cancer Center at Case Western Reserve University. UH is the second largest employer in Northeast Ohio with 26,000 employees. For more information, go to www.UHhospitals.org.